This week I'm working on some Transcendent 2000s. 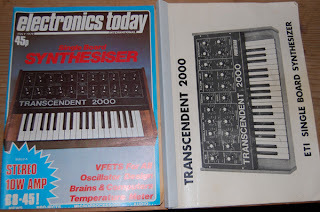 It's an interesting synthesizer designed here in the U.K by Tim Orr in the 1970's and published as a self-build project in the magazine Electronics Today International in July/August of 1978. 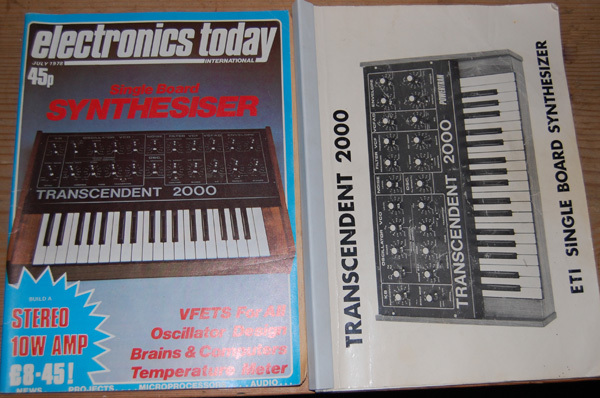 They were quite popular in the U.K and a kit of parts was available through Powertran electronics until around 1984. 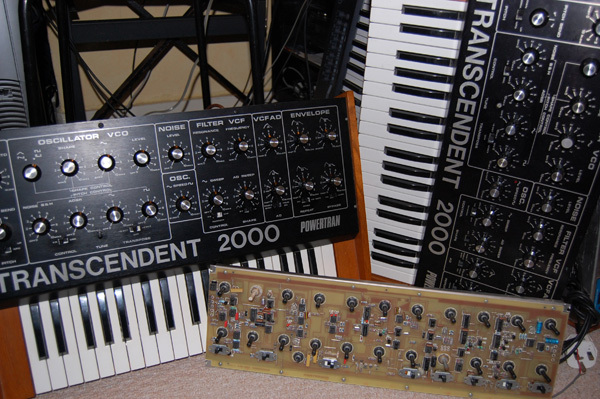 In fact, the Transcendent 2000 was a 'first synth' for a lot of British musicians (myself included)... reason? ... it was pretty cheap... if you couldn't afford a Micromoog or an ARP Axxe or even a MiniKorg 700 the Transcendent was really the only option. It was also fairly simple to build - if you knew the hot end of a soldering iron from the cold and could follow some basic instructions... famously, Bernard Sumner filled his sleepness nights by building one back in his Joy Division days. 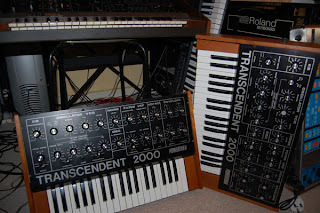 I like the Transcendent 2000, it's full of cheap 1970's technology so, yes, it's a bit noisy and weird but it sounds dark and raw, the filter is unpredictable and really needs taming when it self-oscillates (more on this at a later stage...). 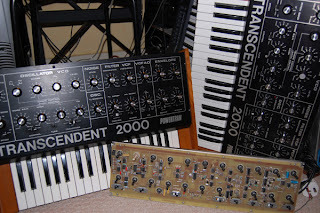 The waveshaping in the VCO is unusual for a basic monosynth - but then again a lot of things about the Transcendent are unusual.